We are importers and distributors of Flash Rust and Corrosion Inhibitors for Water based Primers & Paints, Tin plate packaging, Metal working fluids, Coolants, Lubricants. 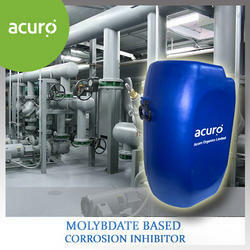 We hold expertise in Supplying and Trading to our clients wide range of Corrosion Inhibitor in Ahmedabad, Gujarat, India. These are quality tested on well defined parameters thereby guaranteeing its quality and long shelf life. Outstanding to its qualitative characteristics, they are widely encouraged by leading medical professionals. We also deal with Aquatreat-2572.